On December 1, 2017, a CRTC mandate will require all cellphones sold in Canada to be unlocked, while also eliminating unlocking fees. We’ve already seen some carriers jump ahead of the deadline, and now Bell has confirmed it is selling devices unlocked, according to documents seen by MobileSyrup. The internal memo says all iPhones sold, including iPhone 8, iPhone 8 Plus and iPhone X are unlocked, along with those from flanker brand Virgin Mobile. The memo also notes cellular iPads sold are unlocked as well. In late September, Rogers and Fido were already unlocking smartphones for some customers ahead of the deadline for free, instead of imposing the $50 unlocking fee. Best Buy also previously stated all iPhones sold are also unlocked, even those on contract. 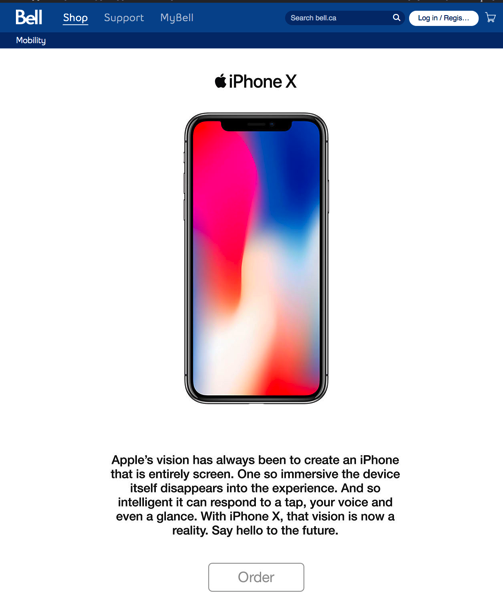 Bell and Virgin launched iPhone X pre-orders last Friday, alongside Telus, Koodo and Rogers. Fido will launch iPhone X pre-orders on November 1. Apple’s iPhone X launches in Canada on Friday, November 3. Earlier today we saw some of the first hands-on videos of the new device, showcasing its OLED Super Retina display and Face ID feature.